After attending the Playgrounds conference in Melbourne, I was on the Air NZ 850 flight back home to Wellington together with several other Cocoaheads Wellington members. Prior to boarding, we talked about taking a picture on the plane that we could use both as a backdrop for our website and also as a “thank you” picture that we could send to Andyy Hope and the Playgrounds crew. That idea (and the process of taking the picture) almost gave a poor woman a heart attack. Here’s what happened: before boarding the plane I asked everyone in our group if they were keen to take a picture together mid-flight. Everyone was “on board” with the idea, and because I was seated right at the front of the plane, I took the first opportunity and I asked the flight attendants if it would be okay for us to take a picture after they had finished with the food-and-drink service. The flight attendants confirmed that it would be okay so we proceeded with the plan. We used the in-seat communication channel to chat to each other. I was talking to Sam, Tim was talking to Raj or Max, you get the idea. Giggles ensued as Tim suggested that maybe the pilot could join in on the photo, since the plan would surely have an auto-pilot feature. Since we were all scattered around the plane, getting out of our seats was going to be a bit tough and even crawling under the seats was considered. Silly stuff. The flight was smooth and the food and drink service went by quickly. Once the aisle was clear I stood up and I made my way to the back of the plane. As I approached someone from our group I’d lean over and say “We’re doing this now. Come to the back of the plane”. The first person stood up, then the next, and eventually I reached Tim. He was seated in a window seat right at the middle of the plane. Soon everyone had stood up and assembled at the back of the plane, as per our plan. I gave Julie my iPhone and asked her to shoot a few photos. She took some pictures of us smiling, and some other photos of us attempting to make the letter “P” (for Playgrounds) using our fingers. We were smiling, giggling, and we were completely unaware that a flight attendant had stopped next to where Tim used to be seated. Minutes later we started making our way back to our seats but the flight attendant that had stopped next to Tim’s seat was now chatting to him at the back of the plane. A few of us looked back and we didn’t quite understand what was going on so we went back to our allocated seating. It would all make sense to us later on. After going through the security check, we regrouped and Tim told us what had happened: as he was messaging using the in-seat entertainment system, the woman next to him caught glimpses of words: “…pilot…”, “…auto-pilot…”, “…under the seat…”, “…back of the plane…”, “…after dinner…”. Then she heard my say (in my Eastern European accent) “We are doing this now”, and then she saw a couple of men follow me and the one next to her excuse himself to join us. It’s easy to see how all those pieces of information could form more than one puzzle (ie. taking a funny picture for our new Melbourne friends) so she rightfully summoned a flight attendant. Luckily I had already informed this particular flight attendant of our plans and she could see us setting up to take a picture so she was able to reassure the worried passenger that it was just a misunderstanding. I’d hate to think what would have happened on a different flight, with a different crew. In hindsight I smile, because the woman seated next to Tim laughed it all off. But I wonder if I would have had a heart attack, had I been in her place. In conclusion, thank you Andyy Hope and the Playgrounds crew for a fantastic conference. We all got back home safely and, to the best of my knowledge, nobody was hurt while taking the picture attached to this blog post. This entry was posted in Social and tagged Cocoaheads, Conference on February 27, 2017 by Nick. I had the privilege to speak at the very first edition of #JAFAC hosted at the fantastic GRIDAKL. Many people requested that speakers share their slide decks. Since there’s nothing sensitive in mine, I’m able to post it below. During the interactive part of the talk I mentioned a number of apps. Some these (iOS) apps were: Air NZ, Amazon, Chirp, Drafts, Emoji++, Evernote, Garageband, IMDb, Instagram, Instapaper, Kibo, MacID, Musixmatch, OmniFocus, Overcast, Slack, Starbucks, Trello, Way2Ride, Workflow, and Trade Me. I came back reassured, inspired, and motivated. Thanks Sandy, Brenda, David, Steph, Jimmy, Christine, Te Miha, Richard, Colart, and everyone else I had the pleasure to listen and to talk to. It was also very impressive to see just how knowledgeable were all the people in the attendance. Day two, the un-conference, enabled all of them to play a more active part and turned into such a revelation. If you focus on enabling people to work together successfully, if you are all about empowering teams, if you are keen to find ways to remove needless processes, if you want to learn on how to use feedback properly, if you desire to be in the company of really smart (Agile) people, then trust me, you don’t want to miss the next edition. In the mean time, I’ll leave you with a quote from Sandy: “no pain, no Spain”. This entry was posted in Presentations, Social and tagged Agile, Apps, Conference, Public speaking on April 24, 2016 by Nick. The 6th instalment of the Wellington Android Meetup took place today. I decided not to write about the content (I wouldn’t do justice to the presenters, and the audience contributed so much content, that I’d surely forget to mention something important), instead I wish to write about just how “fragmented” Android is … in Wellington, New Zealand. We had four speakers. Two men: Matt and Lucas; and two women: Jayna and Leonie. That was not planned, it just happened. We had two fairly technical presentations that encouraged us to improve our technical chops and solve problems in more beautiful ways, and two that challenged us to think about what we like, what brings us joy, and what we are prepared to do from the goodness of our hearts. I glanced around the room and I was so happy to see how diverse it was. So many skin colours, genders, ethnicities, and ages! In the room we had students, unemployed folks, business owners, developers, designers, testers, and even Windows Phone developers! There were people working for startups and people working for organisations with 500+ employees! There were women. Not just sitting on chairs but engaging in the discussions. Driving them and asking the tough questions. Challenging the speakers and the audience. Recommending better ways to do things. As it should be! I bring this up because I think back of where we started. I looked at some old photos I took and I struggle to find the women. I looked at the GDG Wellington reports I sent, and I blush seeing a mere two women attending one of the early sessions! Today, almost 20% of the audience were women! But we are not stopping here. Tonight Lucas announced that we are planning a GDG Dev Fest W. The plan is to create a safe place for an evening, a day, or a weekend, where women can come and learn about technology without fearing that they may get laughed at, looked at in a condescending way, interrupted or ignored. Get in touch with Lucas or with myself if you want to help. The Android community in Wellington is fragmented in the best possible way. This diversity makes the meetings more interesting, the points of view more diverse and more relevant. I was the proud host of tonight’s gathering. It this kind of fragmentation that keeps me going, that motivates me to try harder, that makes me proud to be a small part of this incredible community. Our group now has more than 200 members, so I am hopeful that we have not seen the best of what this incredible bunch of people have to offer! This entry was posted in Resources, Social and tagged Android, Conference, GDG Wellington, Google, I/O, Meetup, Public speaking, Team, Wellington on July 30, 2015 by Nick. I’m proud to announce the formation of Cocoaheads Wellington. For those who are not aware, Cocoaheads is an international Club for Cocoa (iOS & Mac) developers and designers. The gatherings happen every 2nd Thursday of the month, from 7pm to 9pm. They are usually followed by a trip to a nearby restaurant or pub. The first meeting will take place on the 12th of February at the Trade Me offices in Wellington. If you’re a Cocoa Dev / Designer then you should confirm your attendance here. I intend to outsource the location. I’m currently hoping to convince one of the local Universities to host, but maybe another Wellington based organisation would be keen to put their hand up? If you know of any potential venues then please reach me via Twitter. If you’re passionate about iOS or the Mac, you are keen to share your knowledge or learn from others, you live and breathe development or design, then I hope to see you there! 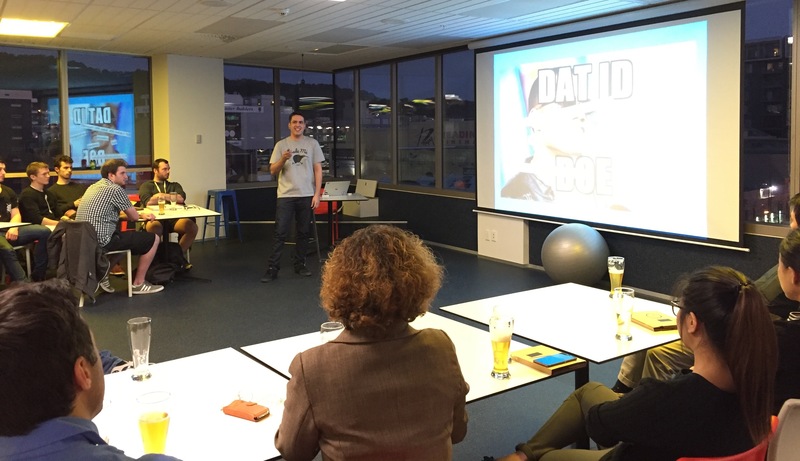 This entry was posted in Resources, Social, Team and tagged Apple, Cocoaheads, Conference, iOS, Mac, Meetup, Wellington on February 1, 2015 by Nick. It’s true. The Android developer community in Wellington is strong and mature, if tonight’s first Android Meetup is anything to go by. 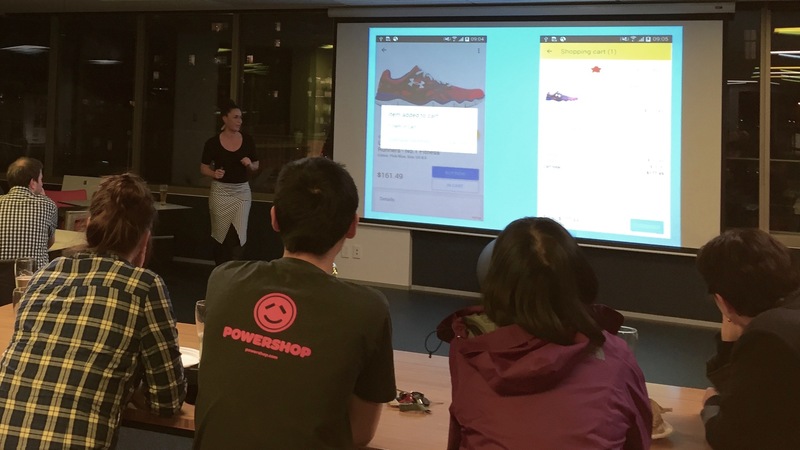 Just over 30 people took part in the first (of hopefully many more to come) Meetup that I was proud to facilitate and host together with the rest of the Trade Me Mobile team at our Market Lane office. 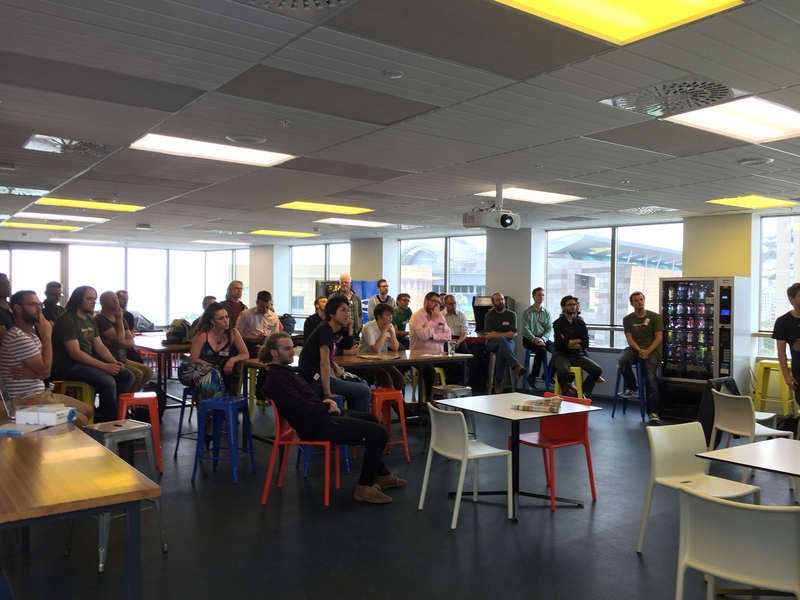 We will try to make sure this becomes a regular event, especially now that the GDG Wellington was created. The theme of the evening was Material Design and the agenda was simple. I gave a quick intro, then we kicked off properly with a presentation by Matthew Shearer (our Lead Android developer) about the challenges that we face at Trade Me when tacking Material Design in our app, followed by an interesting Q&A, then the spotlight was given to Glenn Parker (Xero) who showed off a few ideas/early mocks for their product. Other people in the room mentioned that Material Design was high up on their TODO list but they just haven’t gotten around to it. The evening continued with food and drinks followed by an open discussion around the future of this group. As expected, the attendees behaved really well and communicated freely. There was no awkward job/hiring talk, nor any immature comments of any kind. Toward the end of the event we brainstormed a few ideas for future sessions. We’ll vote on the group and we will decide what we will talk about next time (late January or early February). 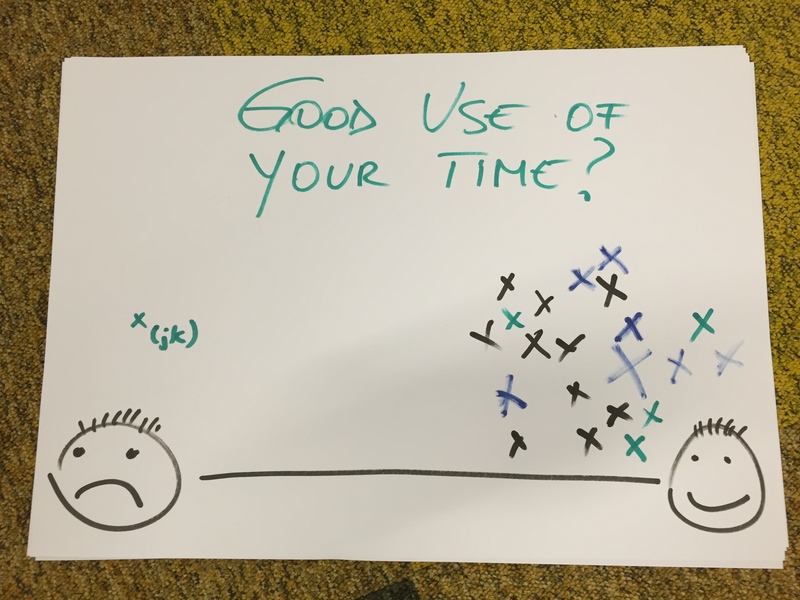 As this picture shows, people found the event valuable for the time they invested (2 hours) so I will call it a success! This entry was posted in Social, Team and tagged Android, Conference, GDG Wellington, Google, Meetup, Team, Trade Me, Wellington on December 9, 2014 by Nick. This year’s DevMob was different compared to all the previous DevMobs: there was tangible equilibrium between iOS and Android, with both platforms showing maturity in terms of tools, design metaphors and developer attention. This (un)unconference1 would not have been possible without support from the sponsors: Microsoft, Alphero, Xero, Powershop, CactusLab, JSA, and 3 Months. This year, the swag was particularly nice (thanks to the Alphero team). The sponsors also contributed with very interesting talks, availability and engagement throughout the weekend, and a wicked Lego Death Star draw! 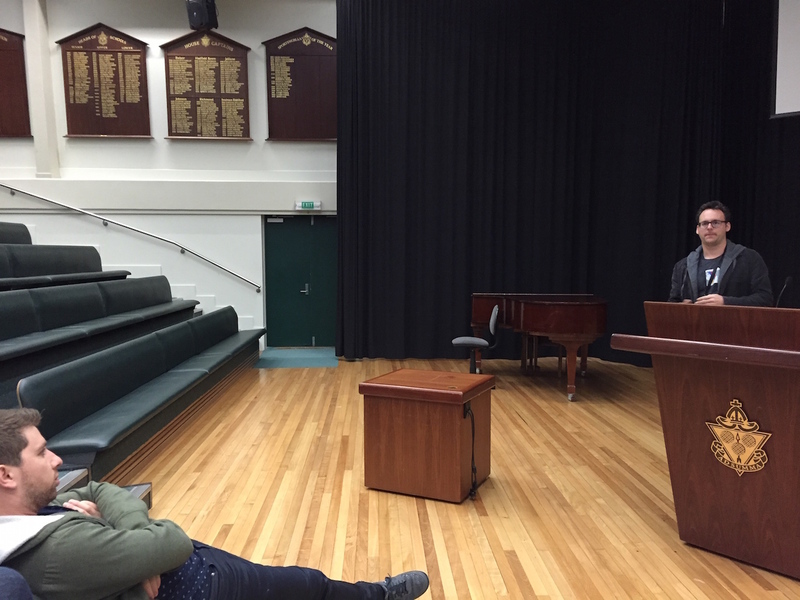 It was Wellington’s turn to host, and the chosen venue was Samuel Marsden Collegiate School. I give it the thumbs up: the food was great, there were plenty of rooms (and each had a projector), and we were even allowed to use the amphitheatre. Over the years, the conference evolved from being focused on iOS only, to sharing the spotlight between iOS and Android. This reflects the marketshare and the user base of the two platforms, and the ever growing number of developers interested in them. As one of the attendees who hasn’t missed a single iteration of this event, I’m happy to see such organic growth. It’s also good to see that the Microsoft folk have not given up, and keep attending these gatherings and contributing with incredibly useful insights (Azure being one such example). If a couple of years ago Julius was struggling2 to attract a handful of devs to take part in a blue-sky discussion, this year all the Android sessions had full rooms. Refreshingly, Google’s Material Design was at the centre of most discussions. The tools and libraries that people spoke about covered everything you can possibly think of: from analytics, networking, and storage, all the way to dependency injection and reactive programming. I’m sad to see that Android developers still have to battle with basic things such as networking and resource loading. Michael Rueger from Xero gave a very good talk about the way their app tackles this area. I definitely think his talk should be shared at one of the next Wellington Android Development Meetups. While I’m talking about Xero, Glenn Parker was particularly active and even shared some interesting work they have underway. The Poweshop folks also contributed a great amount, confirming that Wellington is the place to be for Android developers. Not to be outdone, I shared as much as I could about the way that we do things at Trade Me. No doubt about it, Android is a first class citizen and there’s some outstanding work being done in this space. Back in 2009 when Jade Software launched DevMob (under the NZiDev moniker), the questions that people used to ask were along the lines of “how do I code, test, deploy, market my app, all at the same time?”. After just 5 editions, this question has transformed into “how do I run a distributed team? how do we collaborate with designers and testers? how do you manage an app’s backlog?”. This year, I believe two themes were new to the stage: mobile development at scale, and an in-depth look at how to build mobile software. The gimmicky apps were pretty much absent, confirming that the mobile gold rush is well and truly over. For a change, Layton and Karl did not have to too many questions on how to build the next million dollar app. Surprisingly, managing scale was probably one of the most talked about things this year. So much so that the group ended up creating a follow-up session after Luke Gumbley‘s “Backlog management / Feature planning” talk. Team building, maintaining happiness, and dealing with ownership, all got tackled by the audience. The information flowed freely and openly thanks to the trusted environment that makes so many people return to this event year after year. It wasn’t just the management side of things that was new this year. The sessions went deeper into the product life-cycle with topics such as API design, security, functional testing and mocking, UX, continuous integration and more. I was happy to see large development houses (Cactuslab, JSA, Powershop, Trade Me, Vend, Xero, etc) share intimate details about how they tackle many aspects of the SDLC. The fact that non-coding topics permeated DevMob 2014 is encouraging for future iterations of this (un)conference. I missed out on the socialising that traditionally happens after the first day of the conference. I suppose that’s part of the deal when the event is hosted in one’s home town. Many thanks to the hosts Nat, Janine, Tanya, Julie and everyone who contributed to making this event a success. If I got anything wrong, or if you wish to pass any feedback, you can reach me on twitter. 1 To learn more about (un)conferences you can visit Nat’s website, buy this Kindle book, or, my favourite option, just take part in one! This entry was posted in Social and tagged About Me, Android, Apps, Conference, DevMob, iOS on November 23, 2014 by Nick. 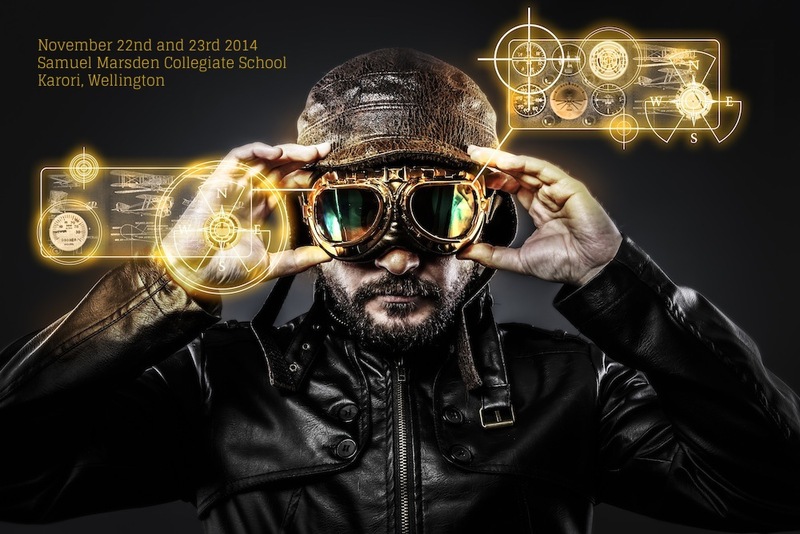 I will be attending DevMob in Wellington this weekend. Come say “Hello”.